Hasn’t your son or daughter ever mentioned that they’d love to play Santa? Perhaps this Santa suit for children could come in handy for a school show? 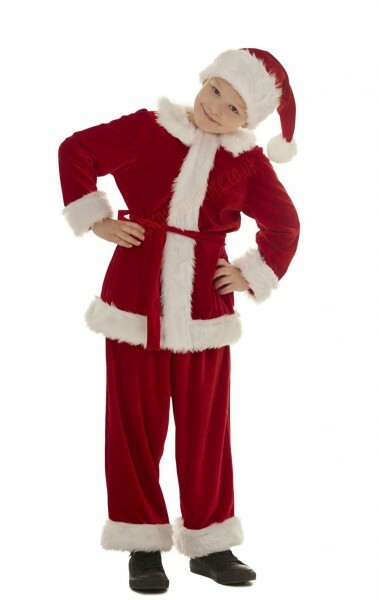 Our beautiful Santa suit for children is well-made and is just as suitable for being worn by boys as by girls. 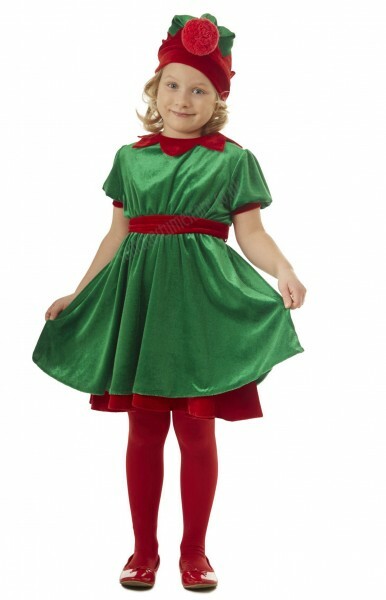 This costume is a scaled-down version of the Santa suit for adults, and is just as good in terms of quality. The Santa suit for children comprises the following: velour jacket, trousers and hat trimmed with a band of white faux fur. Because velour is relatively breathable, your children won’t overheat in this costume, and they’ll be happy to let the time pass by as they play in it. The jacket is fastened with Velcro, although there’s also a velour belt that can be used to enhance its appearance. The trousers are elasticated at the waist, so will suit any figure. And the entire outfit is quite loose-fitting so as not to hamper the wearer’s movements – which is particularly important in the case of a Santa costume for children. The suit is available in 4 sizes: 3-4, 5-6, 7-9 and 10-12. 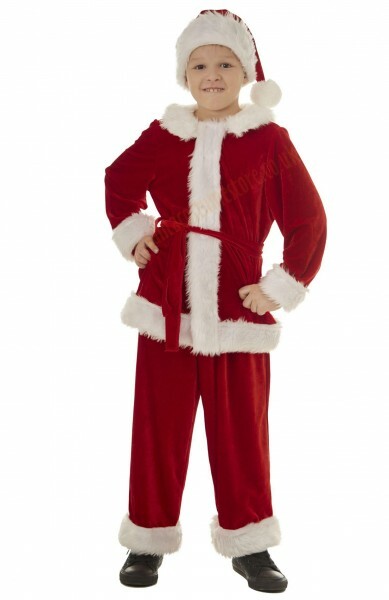 A Santa suit we highly recommend for boys or girls! NB – the suit does not include the footwear shown in the photos.